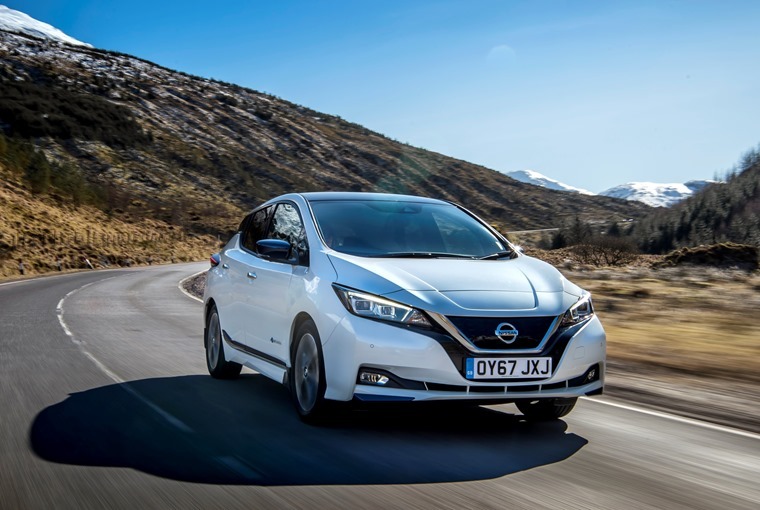 Normalising the electric car in every conceivable way, the Nissan Leaf is easy to recommend and a sensible choice for future-proofing your motoring. It's easy to drive, easy to charge and easy to live with for the right type of motorist. This isn’t the future, this is now. The 2018 Nissan Leaf is an important car. Important to a lot of people for a lot of different reasons. It’s important to Nissan as the next stage in their endeavours to corner the UK market in all things electric. It’s important to environmentalists because it has zero emissions. And it’s important to everday motorists as it’s currently one of the few remotely affordable all-electric cars on the market. Whereas the first-generation Leaf had its fans, commanding half the market share for electric vehicle sales in the UK and going unchallenged as ContractHireAndLeasing.com’s most enquired EV, it goes without say that the look of the vehicle and the so-so range its battery offered meant there was enough going against it that it was never going to be the breakout model that democratised EV uptake. Enter this, the second-generation Leaf. Not only does it go further and faster than the previous model but it does so in comfort and style – two words that were definitely missing from the first-gen vehicle’s repertoire. Based on the design of the Micra hatchback once again, albeit the much more palatable current model, its exterior carries the same sporty stance of the hatchback with its sharp angles at the front and curvy lines flowing the length of the body which add a lot of character. This isn’t the future, this is now. This helps emphasise a certain point I found during my time in the Leaf. It makes driving and living with an electric car feel, well, normal. From the exterior and interior to the interface and the way it drives. It’s very easy to drive, and it seems to be at its most relaxing when the road conditions are at their most stressful. 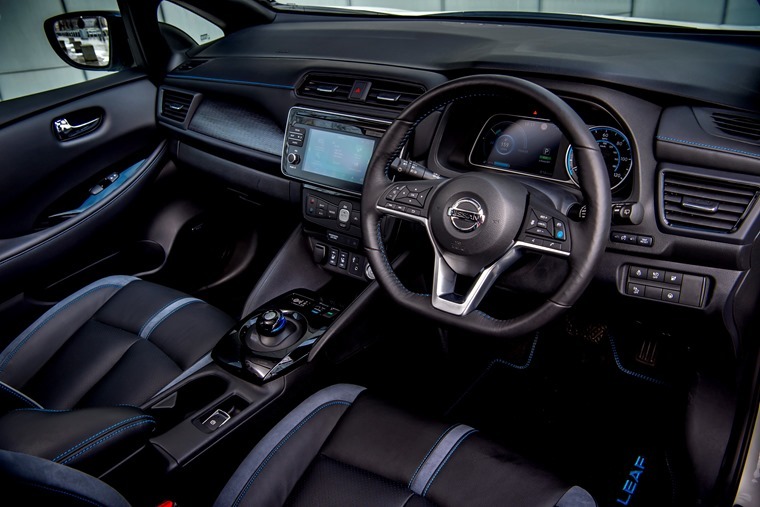 Step inside the electric car and the interior feels pretty much transplanted from the Micra, with the same flat-bottom steering wheel and general layout including comfortably supportive seating, Bose stereo, and 7in infotainment unit. One subtle difference is the blue stitching for the seats, dashboard and steering wheel to signify its power source (electricity, not water). Looking around the cabin with this in mind, everything from the layout to the way the transmission is presented seems to point at Nissan thoughtfully implying to the driver that this isn’t the future, this is now. Which isn’t to say the Leaf is as normal as your stereotypical Vauxhall Astra. 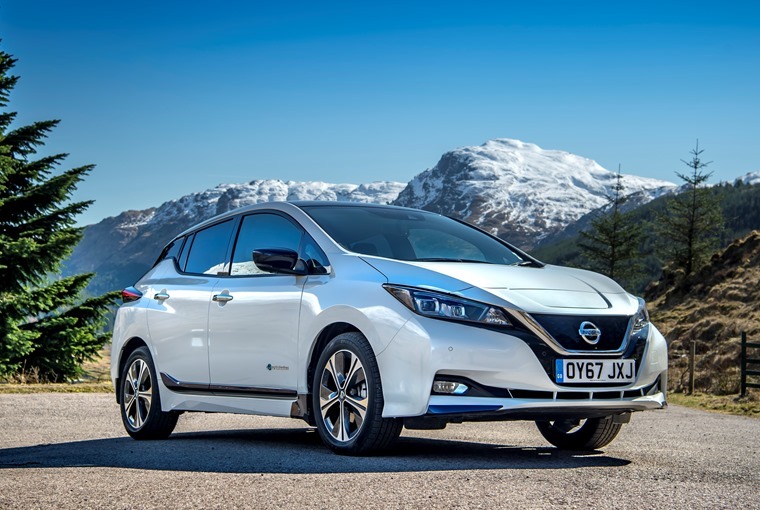 With a 148bhp electric motor, powered by a 40kWh battery across the range, the Leaf comes in a selection of trims including Acenta, N-connecta and Tekna, similar to other offerings in the Nissan line-up. Both [Pro Pilot] and the e-Pedal initially feel like some form of trust exercise between Nissan and the driver, but both elements certainly had their uses. Whichever trim you opt for they all offer Nissan’s newest innovation: the e-Pedal, a gimmick which I approached with caution at first. When engaged, the e-Pedal essentially lets you drive and stop the car using just the accelerator. Naturally resistant, you have to push hard on it to make rapid progress, push lightly to move at a moderate speed, and ease off to brake steadily. Removing your foot completely from the pedal results in a rather abrupt stop that’s just short of being an emergency. This braking is so strong when you initially start using the e-Pedal that the whole thing can feel sluggish and abrupt in equal measure and a little off-putting. Stick with it though and once you’re used to the nuance and subtlety required, the e-Pedal becomes a very useful tool when the road conditions are at their most challenging, proving to be a nice touch when stuck in congestion and helping to take some of the stop-start stress off. Perversely, it’s on this point where I seemed to get the most enjoyment out of driving the car. It’s very easy to drive, and it seems to be at its most relaxing when the road conditions are at their most stressful. 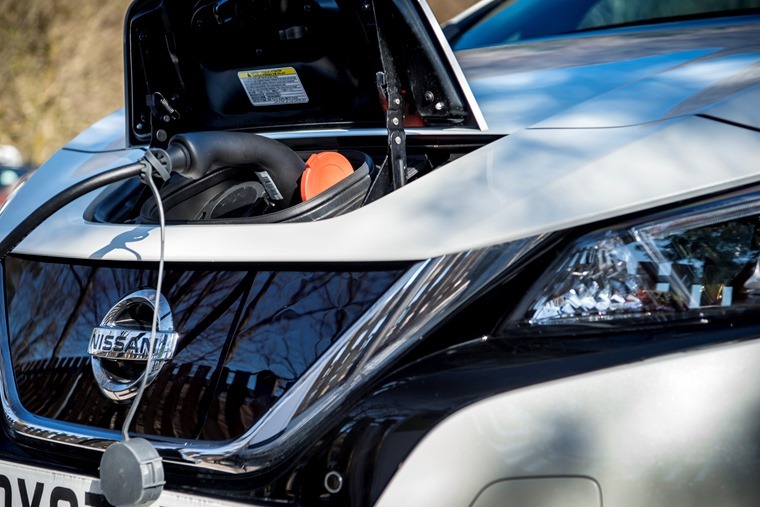 Instead of grinding gears, aggressively accelerating, and harshly braking in your conventional vehicle, the Leaf deals with it all in its stride. ECO mode is turned on as standard in the vehicle which limits the amount of torque available to you to help you get the most from your charge. Turn that off and 320Nm of immediate torque is available, meaning the car can disappear just as fast as your battery percentage. Turn ECO mode back on and make use of the e-Pedal and you’ll find you get the most from the vehicle. With this in mind, the Leaf can feel like a car of compromise in parts, where any attempt at fun or performance from the car can cause bouts of range-anxiety. Treated as a car to get safely from A to B without pushing it on the other hand means you’ll get the most from everything the car has to offer. For the top-of-the-range Tekna trim, you also get access to Nissan’s Pro Pilot system, which can automatically steer, accelerate and brake the car when cruising on the motorway. Both this and the e-Pedal initially feel like some form of trust exercise between Nissan and the driver, but both elements certainly had their uses, just not for all times and types of travelling. Aside from performance and gimmicks, no doubt the thing you’re most interested in about the Nissan Leaf is the charge. Namely, how many miles does a battery charge give and how long will it take to charge it. The Leaf becomes more and more a sensible choice for future-proofing your motoring. First things first, the charge socket is situated at the front of the bonnet above the grille. Fully charged you’re looking at a range of 168 miles of driving, give-or-take, depending on the way you drive, the temperature, and who is in the car/what you are carrying. Charging with a standard three-pin wall socket plug you’re looking at about 8 miles of range per hour of charging (about 21 hours from empty). With a home 7 kW charger that will jump significantly to 22 miles of range per hour charged (about 7 hours from empty). Taking advantage of Nissan’s rapid charger available for free at dealerships will see you get a full charge in an hour. When you’re done with the charger, you press for a couple of seconds on the charge button on your key and it releases the catch – a nice little feature that will stop any would-be anarchist from messing with it while you’re doing other things. These charge times aren’t exactly poor, but in my time with the vehicle constantly remembering to charge it when I got to work started to feel like a chore and the ContractHireAndLeasing.com office car park is already geared up for EV charging and already has one Tesla in it. But this is a small price to pay when you figure in the fact that you’re not only saving on fuel but also on VED rates (a big fat £0) and general maintenance. 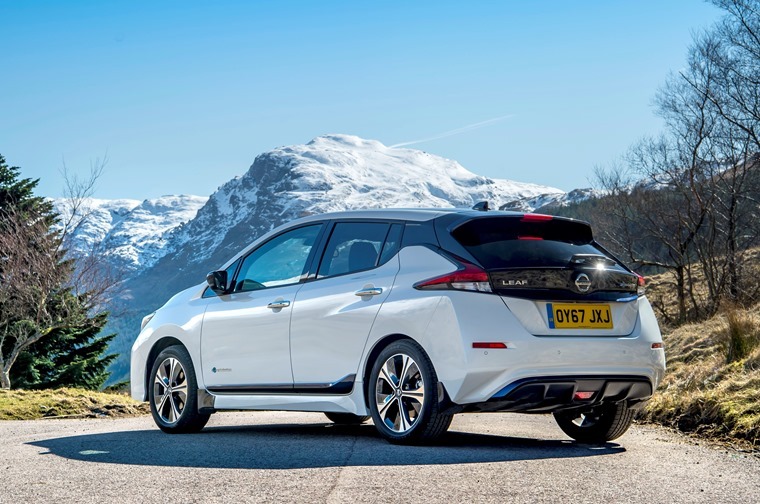 Factor in the government incentives for buying a ULEV (currently £4,500) and the fact that it is exempt from the London Congestion Charge if you live in and around the capital and pretty soon the Leaf becomes more and more a sensible choice for future-proofing your motoring. 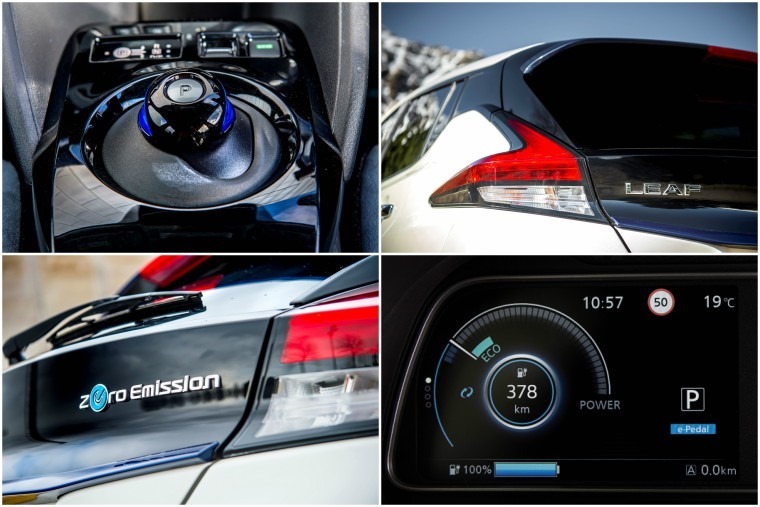 All in all, the new Nissan Leaf is a vehicle that is easy to recommend to the right type of motorist. While it can deal with a long-distance commute no problem, you can’t really call it practical for such things as it frequently needs charging. When it comes to small to medium commutes on the other hand, it’s probably the best vehicle choice out there. The future is now. Based on the current Nissan Micra, it carries the same sporty stance as the hatchback. The interior has, again, been transplanted from the Nissan Micra. Offering the same flat-bottom steering wheel and general layout including comfortably supportive seating, Bose stereo, and seven-inch infotainment unit. 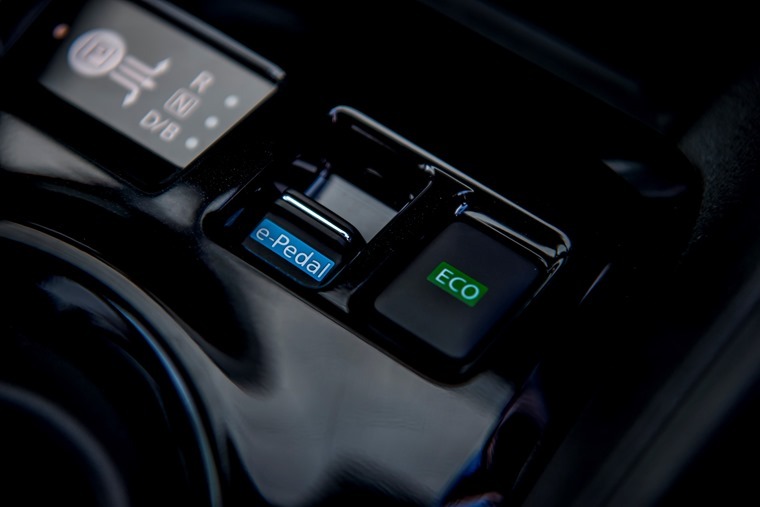 ECO mode helps you get the most from the car, especially when used in conjunction with the e-Pedal. Take the limits off the car and with 320Nm of immediate torque available it also offers plenty of thrills if you can spare the time to recharge the battery again and again. Longer, lower and wider than ever before, up front it is very comfortable but there’s not much space in the back. The boot is a sizeable 300 litres. Cheaper to ‘fuel’ than anything comparable currently available, you’ll get 168 miles of range on a full charge depending on how you drive it. 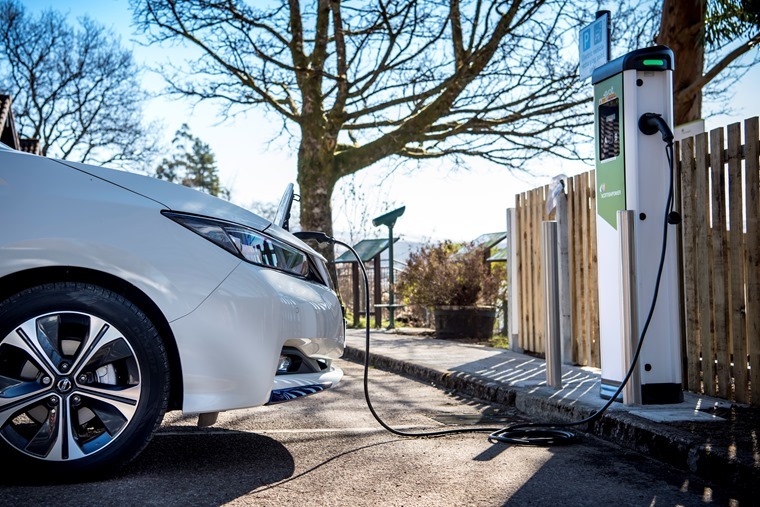 Charging with a standard three-pin wall socket plug gets you 8 miles of range per hour of charging, a home 7 kW charger that will jump significantly to 22 miles of range per hour charged and using Nissan’s rapid charger will see you get a full charge in an hour.